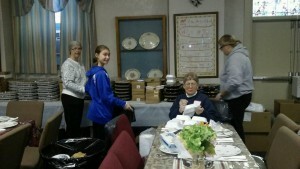 First Presbyterian Church of Glenolden, PA, prepares dinners for its annual Thanksgiving Meal Ministry Program. If you attend the First Presbyterian Church of Glenolden, PA, on a Sunday morning, you’ll be sitting in the pews with about two dozen other people from the small town that is located 17 miles southwest of Philadelphia. 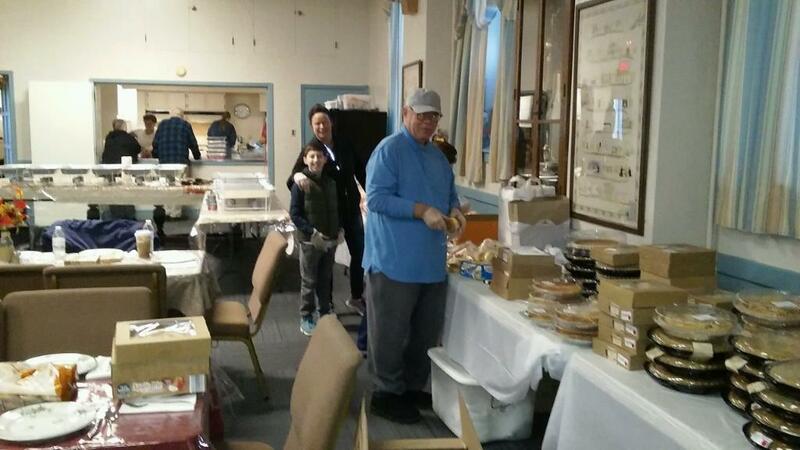 But if you come to the church on Thanksgiving morning, you’ll find yourself in the middle of a 250-person work force that stops at nothing to deliver turkey dinners with all of the fixings to over a thousand people in Glenolden and neighboring towns. 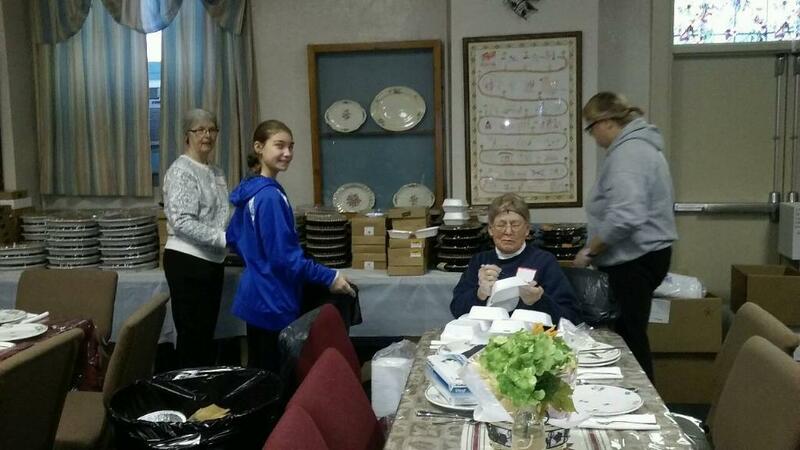 It’s a tradition the small congregation continued for the 25th consecutive time in 2017, one that has grown to 1,200 meals being handed out in 38 different communities on that Thursday in late November. Aside from the home deliveries, the church’s doors are also open for a noon community meal that fed close to 150 people last year. It’s a cherished tradition that is now counted on by not only the people who are being served but also the organizations in the community who provide First Presbyterian Church of Glenolden with lists of names of people in need of the meals. One of the delivery lists First Church has been receiving for the last decade comes from the local district attorney’s office. This list includes roughly 25 seniors who have been victimized by crimes. 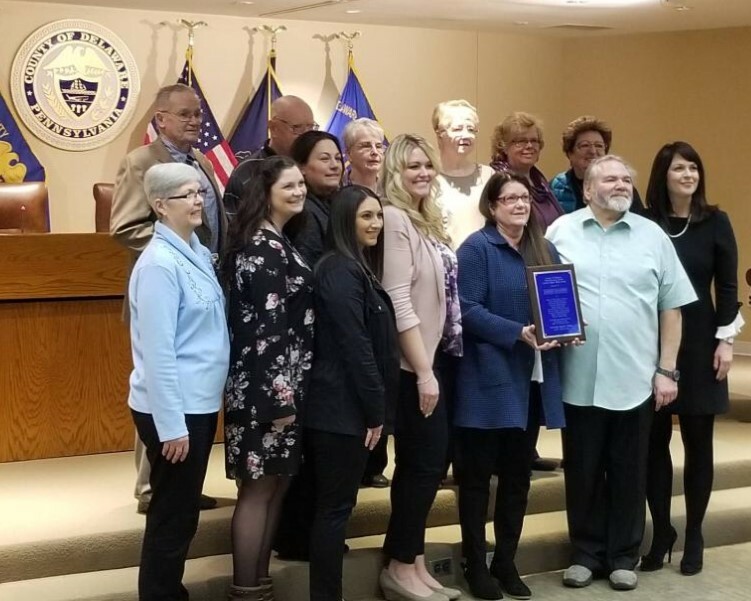 The district attorney’s office, knowing what the congregation does annually for those on the list, submitted Debbie’s name on behalf of the congregation for recognition during National Crime Victims’ Rights Week (April 8-14). Debbie was honored April 11 by the Delaware County Council for leading this annual initiative. Members of First Glenolden’s Thanksgiving Meal Ministry are recognized for their work with seniors who were victims of crimes. Other lists come from senior centers and Hospice organizations. People can also call the church to be added to the delivery schedule. 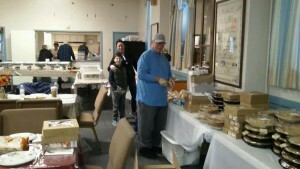 One of the destination spots of about 70 meals is a church in Chester that then delivers them to people in its area. For the delivery people, the interaction with those who are receiving the meals can be incredibly powerful. A special situation occurred on a recent Thanksgiving when Debbie’s son delivered a meal to an elderly woman, but it turned out the address he delivered it to wasn’t accurate. He eventually returned with a meal for the person who it was originally intended for but knew that there was a reason the first person was also meant to get one. The turkeys and pies are either donated or purchased through contributions. Debbie estimated that 125 turkeys were prepared last Thanksgiving and over 200 pies were supplied. Those 125 turkeys are all cooked by people at the church and in the community and then brought to the church on Thanksgiving morning to be carved, packed and delivered. Debbie cooked as many as 16 turkeys herself in the church’s kitchen for one Thanksgiving. This year a donation of 600 cans of cranberry sauce from a church in New Jersey was an unexpected but welcomed part of the meal that could be delivered. “That’s just how it falls into place,” Debbie said. “I don’t know where all of this stuff is coming from. People appear, the money appears and the food appears. It takes 250 volunteers to make the Thanksgiving Meal Ministry work, which is an impressive number considering First Glenolden only averages about two dozen people on a Sunday morning. The Thanksgiving Meal Ministry Program began in 1993 when Debbie’s brother-in-law Bob Teta, who also attends First Church, was touched by an interaction he had with a homeless man in Baltimore. Upon his return home he sought out Debbie and asked her what the congregation could do to help homeless people in the Glenolden area. That’s when the idea of a Thanksgiving meal was born. The first year 50 meals were delivered to the homeless and shut-ins, and every year that number has steadily increased. “God has been very good,” Debbie concluded. “Every year for 24 years we see things happen. Over the years we’ve learned, without a doubt, that God’s hand is in this whole thing because he makes it happen every year. He sends people to me. He makes everything fall into place. Things just appear out of nowhere every year.